The Le Sigh: Track: TÜLIPS - "Maybe Baby"
Track: TÜLIPS - "Maybe Baby"
"Maybe Baby" is a throwback to the days of drive-ins and jukeboxes. Lately I’ve been listening to the American Graffiti soundtrack almost all the time. 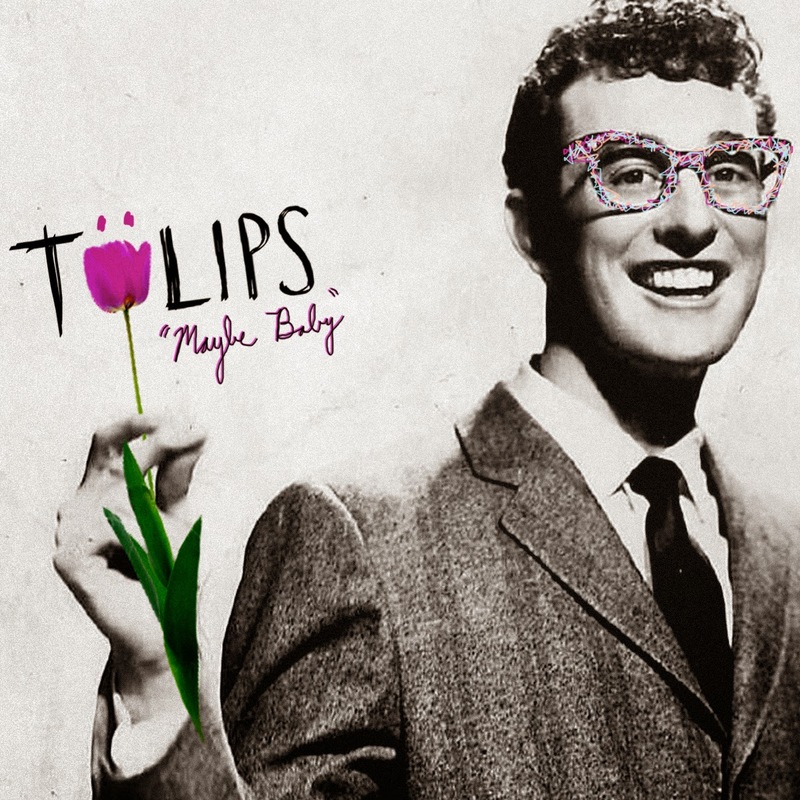 So when I heard TÜLIPS new single “Maybe Baby”, something seemed slightly serendipitous. This contemporary tune set a mood reminiscent of fifties crooners playing on the speakers at a drive in. I could picture a dime falling into a orange and pink jukebox, and this song coming out as a few kids in poodle skirts and bowling shoes sing along out of the straws in their milkshakes. It has a rough edge to it though, like perfectly manicured fingertips painted dull black. TÜLIPS do garage rock in the same vintage vain of Shannon and the Clams - deep voices harmonizing pop lyrics over fuzzed out guitar. The Echo Park locals describe themselves as “riotgaze” on their band camp right below the proclamation: DOOM AND BLOOM. I think both of these descriptions are completely on point with their furious yet flowery sound, and I can’t wait to hear more from this California band. Listen to TÜLIPS on bandcamp. Drew Lucia is a very fresh freshman at Bennington College, far away from her hometown Los Angeles. She loves living in Vermont because it gives her a chance to wear very unflattering clothing all the time. She likes making movies, writing sad things, and listening to Portishead most of the time. She thinks email is still a valid form of communication, so if you want her to write you a sad poem, say hey. She feels weird writing about herself in third person, so that's it for now.